A few days ago I wandered into the Allegan Forest. I was greeted with washed out roads, flooded ponds, and swollen creeks and drains. 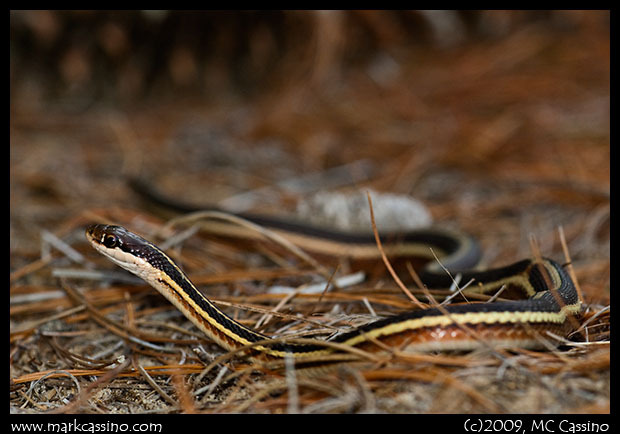 But walking through the sandy pine barrens I was also greeted by … garterribbon snakes. 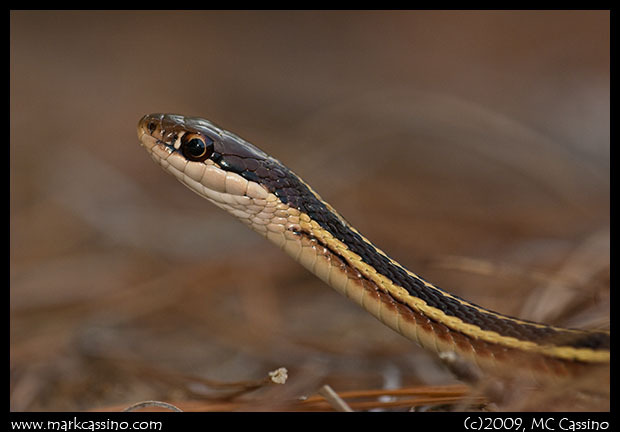 Later in the day, as I wandered out of the pine forest that borders the pond that used to be a marsh, a much larger garter snake slipped through the field, making its way through the dried grass. 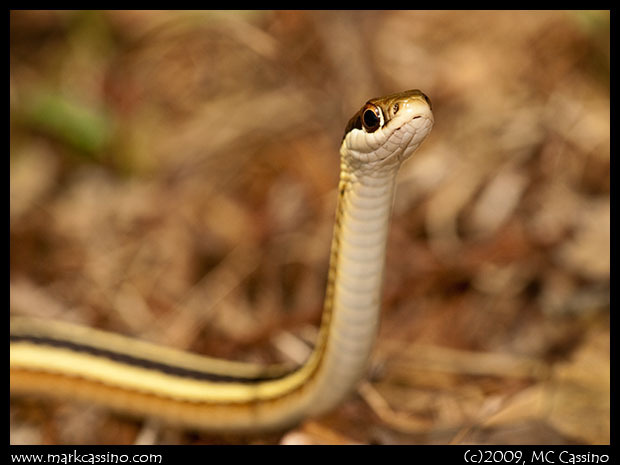 It was much more energetic than the first snake – perhaps because it was basking in full sun. It mugged for the camera briefly, and then glided away to the pond’s edge.